Support our three-part activation in Columbia, SC concentrating on adolescent black girls without consistent positive male figures in their lives. The day will begin with a self-defense class facilitated by an Olympic Judo Master followed by a special brunch concluding with teaching the young girls how to ride bicycles. The Black Superhero Project is an ambitious initiative being undertaken by CFC40 and its founder, Charles F. Coleman Jr. Charles, who has decided to challenge himself and others in the spirit of leading where you are. He is setting out to complete 10 different service projects in 10 different communities across the country. Each project will involve collaborations between Charles’ CFC40 non-profit and other community-based organizations in different cities to target specific demographics that are uniquely affected. Please check back and follow our @CFC40_official for information on future activations. Thank you to our National partners for their kindness and generosity. The impact they’ve made in our community cannot be understated. You can become a Superhero by lending a helping hand to our efforts of service and successful activations in the neighborhoods that support local and national businesses. Together with the City of Boston's Office of Returning Citizens and several other community partners, CFC40 will work to center returning citizens and their families for a special day of inclusion. The day will focus on total wellness, the importance of mentoring, and transitioning back into the workforce while also connecting participants and their families with a network of supportive and essential resources. The day is intended to ensure that returning citizens know that many in community stand at the ready to encourage and to support their journey forward. CFC40 has partnered with Love Yourself Always Inc. for Heart 2 Heart, a three-part activation in Columbia, SC to center and uplift adolescent black girls who are without consistent positive male figures in their lives. The day will begin with a self-defense class facilitated by US Olympic Judo Master Rhadi Ferguson followed by a special Heart 2 Heart brunch as the day's centerpiece which will allow the girls to engage male role models in candid conversation to explore their curiosities. The activation will culminate in the male role models teaching the girls how to ride bicycles. Through partnerships with a number of Baltimore-based organizations, CFC40 facilitated the purchase and donation of more than 100 care packages containing everything from feminine hygiene products, items for young mothers, and materials for girls in school. Thank you to all volunteers. 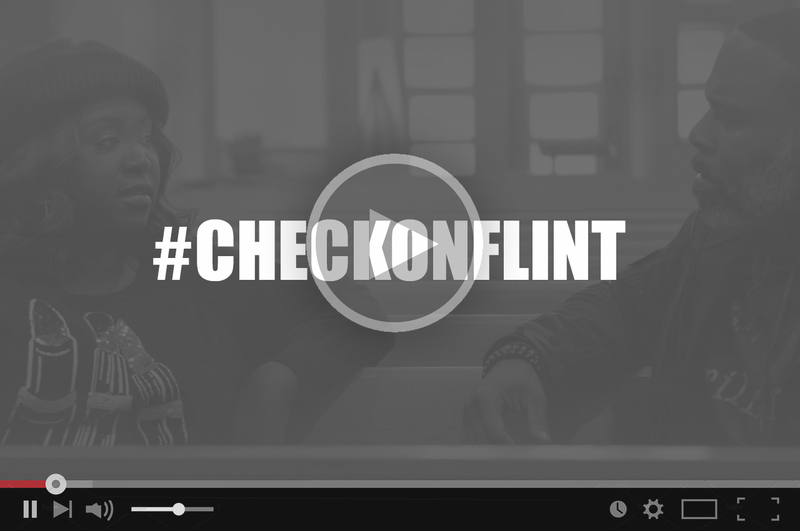 CFC40 partnered with Black Millinneals for Flint and First Trinity Missionary Baptist Church of Flint, MI to solicit public donations and purchased pallets of bottled water for families in Flint, MI. We surpassed our goal and donated over 1000 cases of water--in excess of 7,000 gallons--to serve over 500 households served with the much needed necessity of clean water. We charge you to continue supporting First Trinity MBC's efforts to provide clean water for families in Flint. 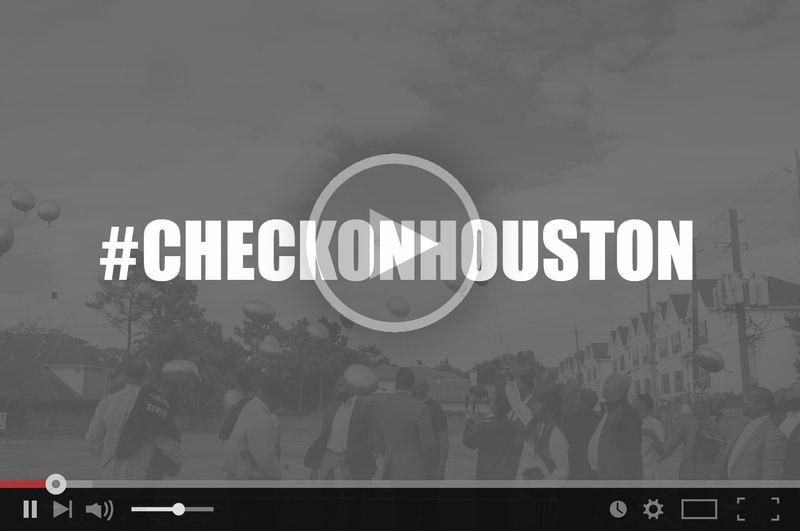 CFC40 partnered with Houston-based Honor Humanity for A Seat at the Table which provided a group of single black men and single fathers still grappling with the effects of Hurricane Harvey with a total wellness reset. Honorees were treated to a homemade gourmet meal, complimentary grooming services, and communed with a team of mentors across industries to help support their journey forward. Click below to experience more from the project.